I’m guessing you’ve heard someone tell you that you need some bone broth in your life! Maybe it was a friend, family member, social media influencer, random stranger, bone broth brand, or even your naturopath. 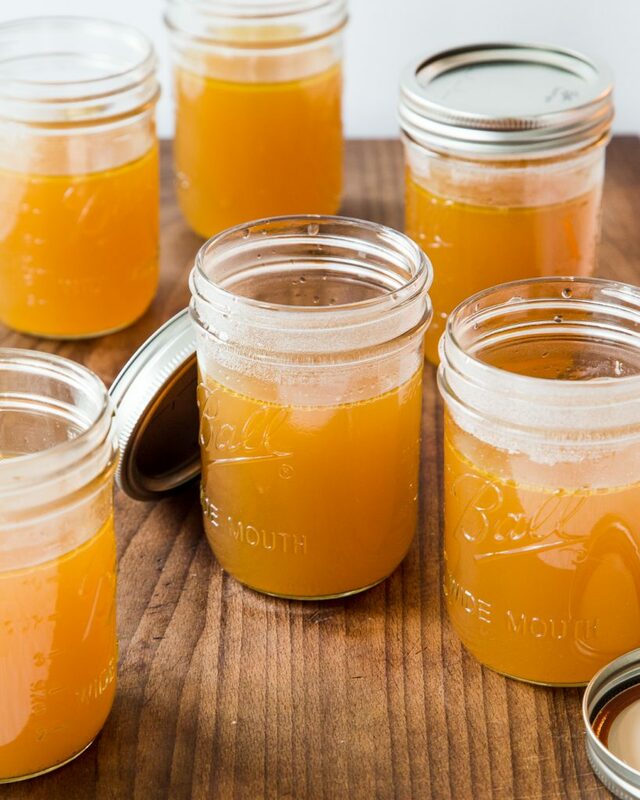 They’ve likely claimed that bone broth can improve skin quality, repair torn cartilage and damaged joints, fix a ‘leaky gut’, build stronger teeth, raise your immune system, and is great for your overall health. Better yet, they’ve called it the ‘fountain of youth’ or ‘liquid gold’. Truth is, they’re probably right! 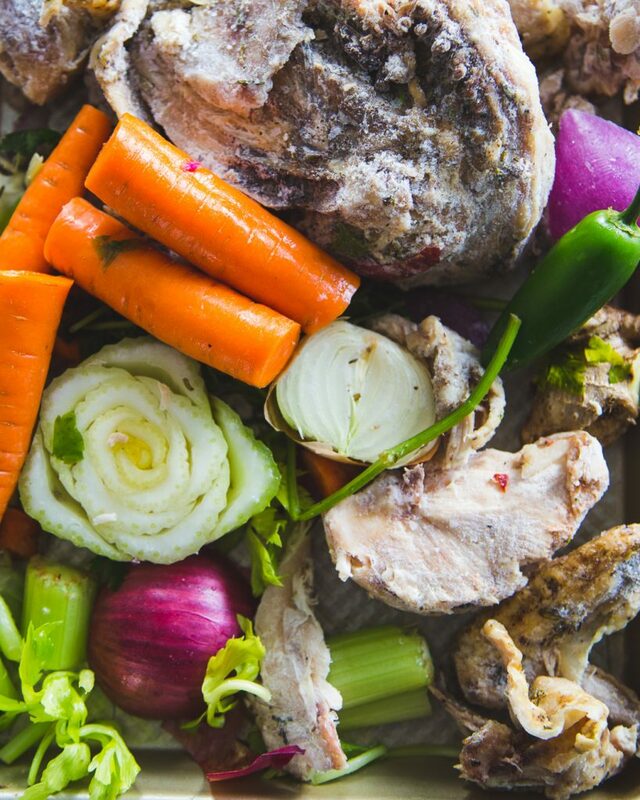 Bone broth is rich in protein, healthy fats, vitamins, minerals, collagen and gelatin. The last two aspects are what really set it apart from regular broth. Nevertheless, you sat there scratching your head trying to figure out why the Starbucks barista was trying to convince you to drink stinky cups of soup for breakfast! What is Bone Broth and How is it Different from Regular Broth? Ever wondered what the difference is between bone broth and regular broth? Rest assured, you’re not alone. On paper, it can all get a bit jumbled so I’ll do my best not to add to the confusion. Though bone broth and regular broth are very similar, there are a few things that tend to set them apart. Bone broth and regular broth are made with nearly identical ingredients. Everything used to make bone broth can also be used to make regular broth. The differences might lie in the larger amount of bones used to make bone broth and the fact that the bones are often roasted beforehand. Roasting the bones is not absolutely necessary, but it will yield a broth with a more concentrated flavour. Here again, roasted bones can also be used to make regular broth. The length of time the broth cooks for is the deciding factor and separates bone broth from regular broth. The larger the bones, the longer the cooking time. Bone broth needs to cook for much longer than regular broth because the bones need to have a chance to break down and release their nutrients into the liquid. Beef bones, for example, are much thicker than chicken bones and require longer to breakdown. This is especially true if cooking over low heat, which is your best option when cooking on the stovetop or in a slow cooker. Some recipes call for cooking the broth for upwards of 24-72 hours. After all, the last thing you want to do is leave your stovetop on full blast throughout the night. Using a stovetop or electronic pressure cooker, such as the Instant Pot, will significantly speed up the process. My chicken bone broth, for example, takes on 3 hours to cook over high pressure. If you plan on making bone broth at home on the stovetop or in a slow cooker, it is important not to rush the cooking time since this is where the magic happens. The longer the bones have a chance to cook, the more likely you will extract their coveted collagen. 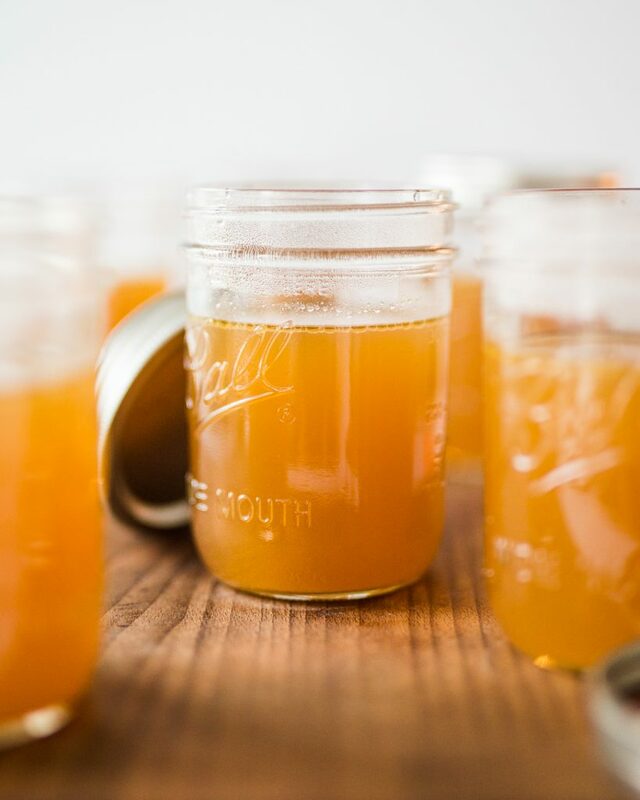 In addition to the nutritional benefits provided by the vegetables and aromatics, bone broth has the added benefit of being rich in naturally-sourced collagen and gelatin. But don’t take my word for it. Read more about the benefits of bone broth and collagen here. The below is less a recipe then a set of guidelines since I make my bone broth almost exclusively with scraps, which are hard to measure unless weighed. A few years ago I got into the habit of making freezer ‘broth bags’ to collect and store odd bits of scraps that can be used to make homemade broth and bone broth. When it comes time to make bone broth or stock, I simply dump all the contents of the bag into a pot, fill with water, add salt, pepper and bay leaves, and cook. It helps reduce waste and makes for an easy process. Since measurements are never precise, the bone broth always tastes a little bit different, which I don’t mind. If making bone broth, I discard everything but the liquid since I have made the broth using scraps to begin with. If, on the other hand, I don’t have any scraps but have a fridge full of fresh produce, I’d likely make my Mama’s Chicken Soup. Though, here again, scraps can be used. One thing I do like to add to my bone broth is Chayote Squash, which is a secret ingredient my mother uses in her soup. 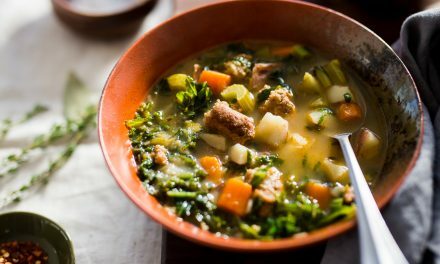 It adds a subtle sweetness to the broth and is rich in vitamin C.
The same method and ingredients can be used to make beef bone broth, though the cooking time should be increased to account for the larger bones. If cooking on the stovetop, set pot over lowest heat on a back burner and cook for 24 hours. If cooking in a slow cooker, cook over low heat for 24 hours. 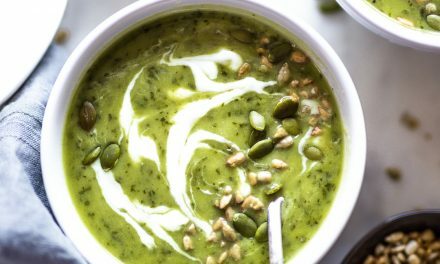 Add all ingredients to Instant Pot. Add water up until the ‘max’ line. Set to sauté function and bring to a simmer. Use a spoon to discard any foam that rises to the surface of the water. Cancel sauté function and switch to Soup mode, high pressure, for 180 minutes. Close lid, set valve to sealing and let cook. One cooking time has elapsed, depressurize manually or naturally. Set a fine mesh sieve overtop of a pitcher (I use my blender’s canister). Pour broth through sieve and discard everything but the liquid. To store, pour broth into tempered mason jars. Notes: If freezing, leave 1.5-2” of headroom at the top of each jar to prevent them from bursting. Alternatively, freeze in large, silicon ice moulds. Once broth has frozen, transfer ice cubes to a freezer-safe bag for easy storage. Repeat process until all broth has frozen. Bone broth is incredibly good for you! Cant wait to try this recipe out. 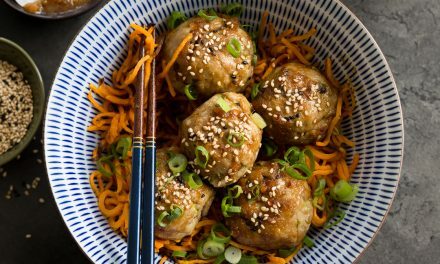 How do you feel about cabbage in this recipe? I recently came upon a load of cabbage trash. Any rules against peppers? 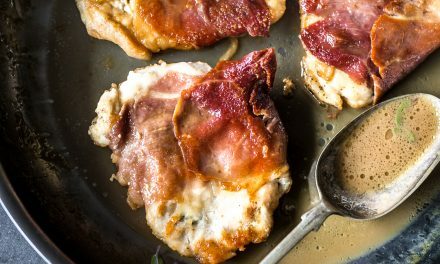 I’d say save it for another recipe and make it the star of the show! Cabbage rolls, cabbage soup, add it to a stir-fry, make a coleslaw, or roasted cabbage? Love your videos! They inspire me to get back on track! So many nutritional benefits! I would definitely use the bones to make broth! What is the foam that rises to the top? Thank you! 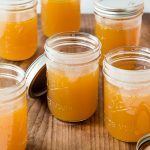 I love this easy way to make bone broth! Theories differ. I’ve hear everything from denatured protein to impurities in the meat. Have 2 frozen Costco rotisserie chicken carcasses of which only the breasts were eaten. I want to roast them b4 making bone broth in IP. What temp and how long should they roast to get the bones nice and crispy? Should I add my bag of veggies to the pan too or just dump into IP? I wouldn’t roast the chicken carcasses a second time. They’ve gone down that road once and another trip won’t do much else.